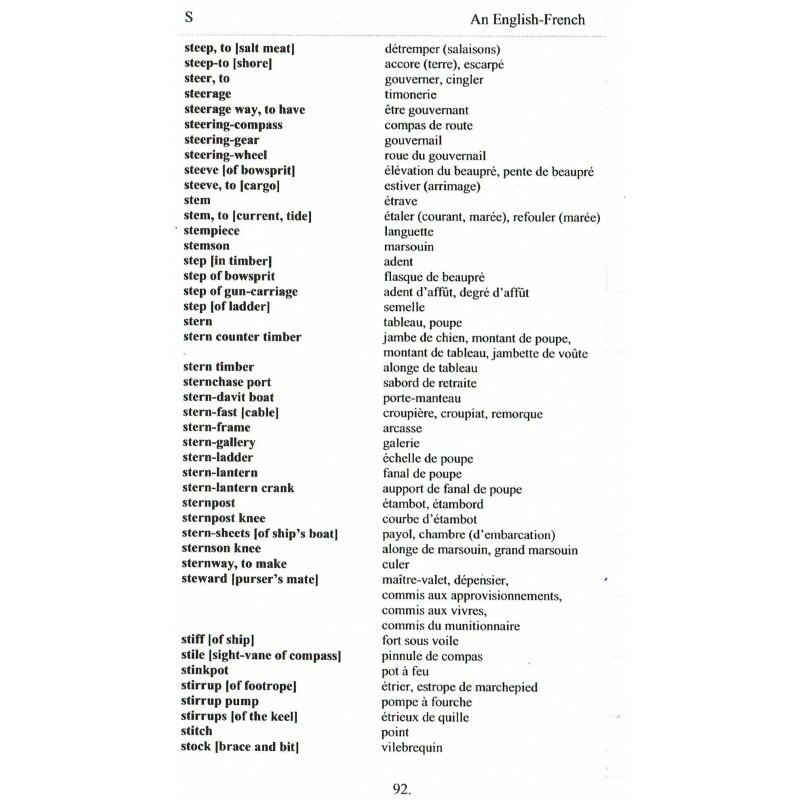 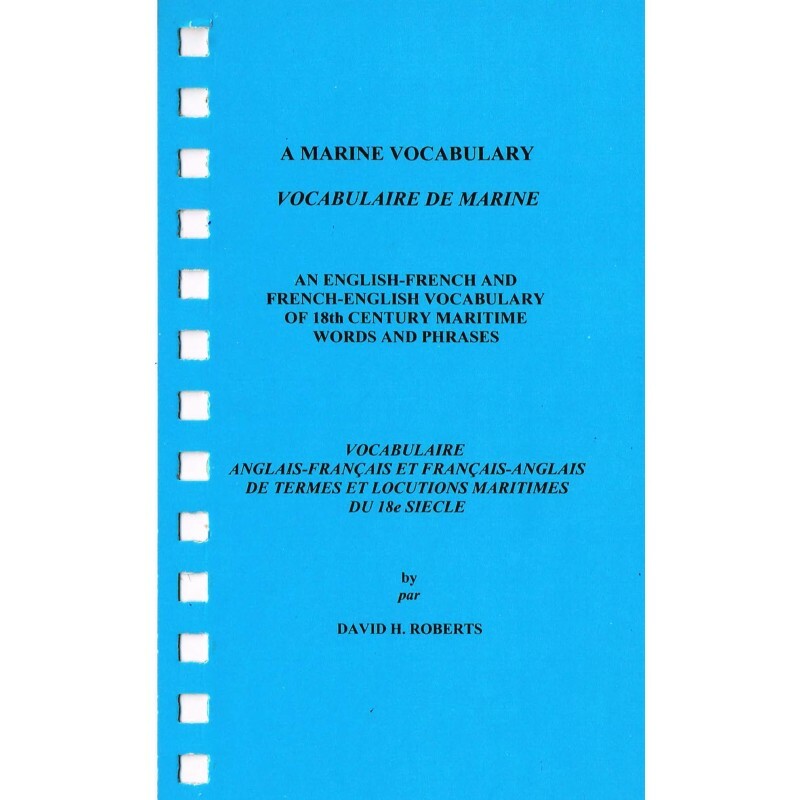 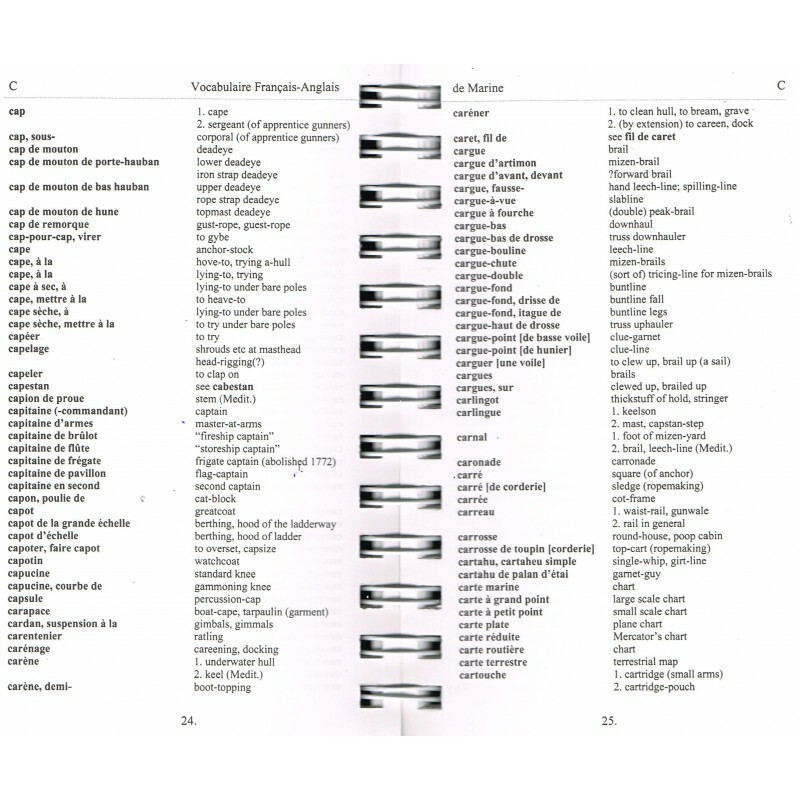 This "Maritime vocabulary" due to the very qualified translator of the " 74 gun ship" will allow to those with limited French who have brought the book of Jean Boudriot before they were available in English to make something more of their acquisition. 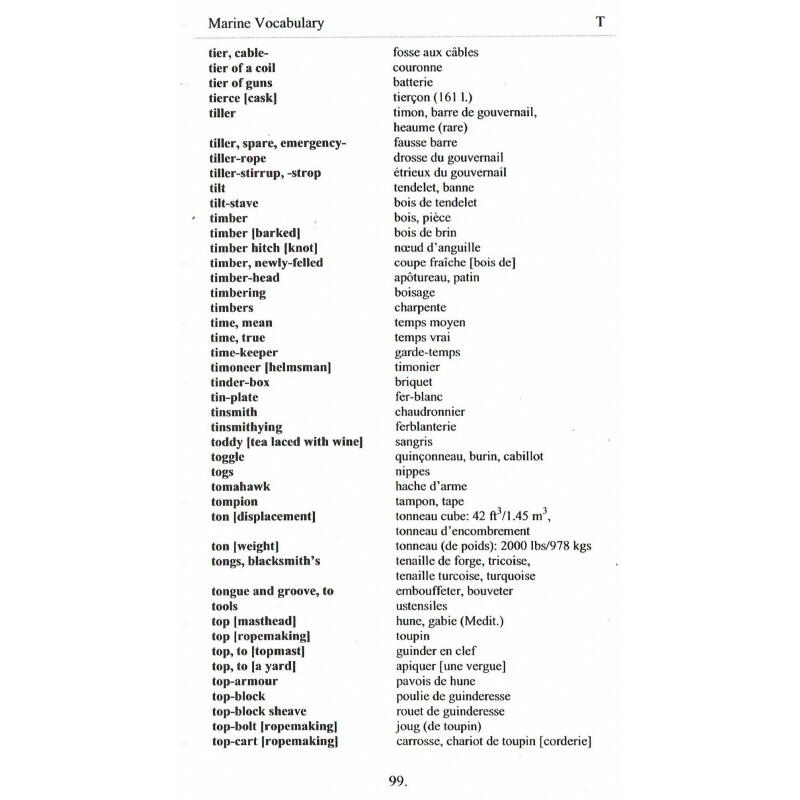 For those who enjoy reading maritime dictionaries, this is not a substitute. 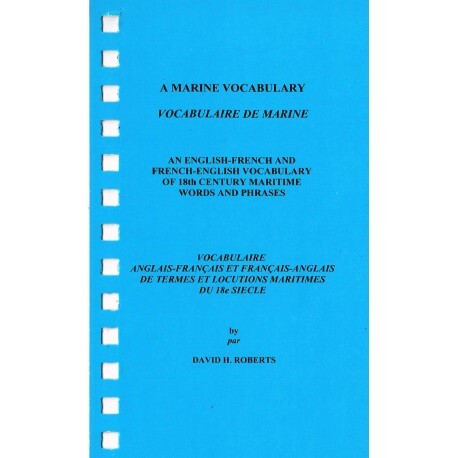 but it is concise, to the point and accurate at least insofar as the differences in shipbuiliding practice and in maritime usage and habits berwen the french and english navies of the 18th century allow.